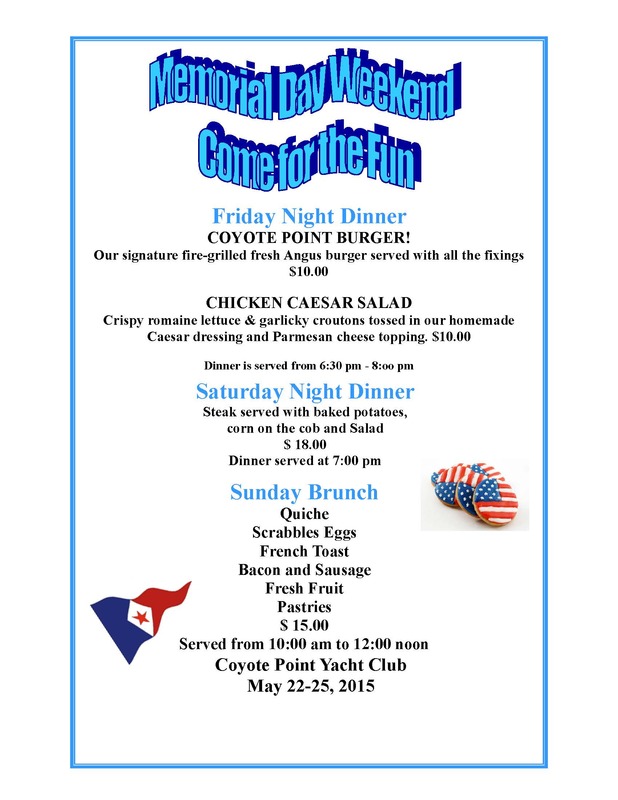 Last weekend was a great weekend at the club with a Spaghetti Feed on Saturday and Burger night on Friday. This coming weekend is an activity packed weekend for the Club. We have about 12 club boats attending the Sausalito Cruise-out for the weekend. Meanwhile, we are being visited by the Oakland Yacht Club and the Islander-36 Association. Consequently, if you are not attending the cruise-out, there is a great deal of activity at the club. Craig Thorson has put together meals on Friday and Saturday and a brunch on Sunday, which I would encourage everyone (not attending the cruise-out) to attend.